The March 2009 PHNDC general meeting will be open to the public so community members interested in finding out more about PHNDC's current projects will have an opportunity to hear updates and ask questions. 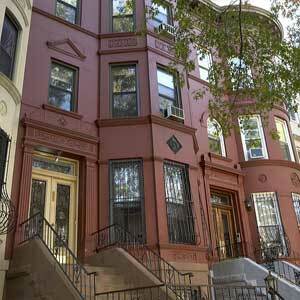 Help make 2009 Prospect Heights House Tour a success! Do tenants have a voice? How do New York State and Federal government work to improve housing? How can tentants get their issues heard? Come to A Forum: How to Make Government Work for You. Confirmed attendees include: Assemblyman Hakeem Jeffries, Assemblywoman Joan Millman, Pedro Monge, State Senator Velmanette Montgomery, Daniel Squadron and John C. Chromczak. All candidates in Congressional District 10, Assembly Districts 50, 52, and 57, and State Senate Districts 18 and 25 have been invited. For more information, call the Pratt Area Community Council at (718) 522-2613 x16.